Microcline is a mineral series in the feldspar group. 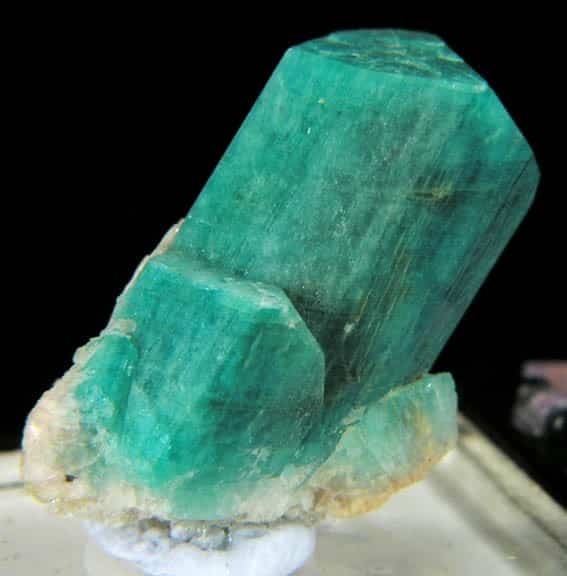 Amazonite is a light green to greenish blue variety of Microcline. Sometimes falsely referred to as Colorado jade or Pike’s Peak jade, it often has grid-like white streaks and a faint sheen.